Not all divorces need be expensive and you don’t always have to go to court. If you qualify, your divorce should be completed quickly and inexpensively for a reduced flat fee. If you are looking for a cheap divorce with an experienced family law and quick uncontested divorce lawyer, we may be able to help. Your matter may qualify for our flat fee if your matter is “uncontested”. An uncontested divorce is a divorce in which you and your spouse have lived separate and apart for the amount of time required by law, no court appearance is required, and the judgment of divorce is obtained by default. Although the fee is for a reduced rate, you still receive full legal services from the attorneys in the firm. Contact our office to speak with a Quick Uncontested Divorce Lawyer. You and your spouse have be separated for period of 6 months without children (born of the marriage); 12 months with children (born of marriage). At the Weiser Law Firm our New Orleans quick divorce attorneys will work with you to handle your case in the most cost-effective manner possible, while still providing you high-quality legal advice and service. The Court Costs in New Orleans are generally under $400.00. Our $450.00 uncontested divorce includes our experienced attorneys work in drafting the legal documents necessary to file for divorce. This amount does not include necessary court costs. in Jefferson Parish the Court cost tend to be $400.00 to 450.00. If your case does not qualify for this extremely low-cost divorce option, our office is happy to work with you to help solve your other divorce, such as child support or child custody, community property partition and settlement agreements, and other divorce related issues in a cost-effective and timely manner. Call a Quick Uncontested Divorce Lawyer today at 504-358-2273. 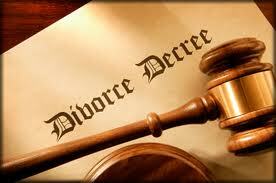 In St. Bernard Parish we can get you an uncontested divorce in only a few short weeks. We may be able to do it soon, however the Parish is limited to 5 Judges who may not be at the courthouse at all times. The filing fees from the St. Bernard Parish Clerk seem to vary every time but are always less than $450.00. In New Orleans the process is the same, although the work in the court tends to be more challenging. Our office charges $450.00 for a Quick Uncontested Divorce in New Orleans with the filing fees at $450.00. At the Weiser Law Firm we offer consultations so you can discuss your divorce case with one of our experienced attorneys, so Contact our New Orleans quick divorce law firm or call our office at 504-358-2273 to schedule your consultation today.